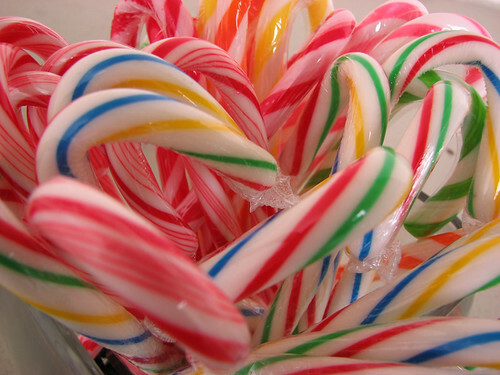 This time of year, you can’t throw a shrink-wrapped candy cane without hitting someone complaining about the commercialization of Christmas. Even so, most of us get caught up in this and become part of the problem instead of part of the solution. Christmas is a 12-day liturgical season beginning on December 25. This is preceded by anywhere from 22 to 28 days of Advent. Too often in the rush to celebrate Christmas and get in the “spirit of the season”, we start celebrating Christmas—music, lights, trees, parties, spiked eggnog, ugly sweaters—sometime around the day after Thanksgiving, and keep going right on through December 26, by which time we’re ready for something new. Let’s approach a better way to celebrate Christmas by taking a closer look at Advent traditions. It was ordered by the Second Council of Tours in 567 that monks should fast during December every day until Christmas. We must also remember that fasts at that time were more extreme than what most of us are used to today: at that time, this rule would almost certainly have been understood to allow no more than one small, simple, vegan meal in the evening, and water the rest of the time. In other words: a bit of plain bread, or some raw greens (with no oil or spices), or perhaps a simple vegetable soup. The voice of one crying in the wilderness: prepare the way of the Lord, make his paths straight—John the baptizer appeared in the wilderness, preaching a baptism of repentance for the forgiveness of sins. The “baptism of repentance” is noteworthy in that passage. We can tie a few other bits of history and theology together here. In the early Church, new Christians were often baptized at Epiphany. 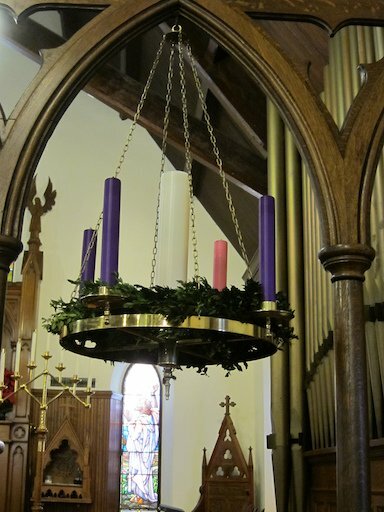 That pre-Christmas, pre-baptism fast evolved into Advent. Fasting, by denying our most basic material needs, symbolizes dying to the world that we may be reborn in Christ (see S. 1.1)—i.e., at our baptism, but also in celebrating the birth of Christ at Christmas each year we can celebrate being reborn in Christ, and it is appropriate to precede this with a time of fasting, abstinence, and repentance. The medicine should counteract the disease: if you have a Vitamin C deficiency, consume Vitamin C. If you have an eating disorder, don’t fast from food; rather, abstain from your scale and your mirror. Similarly, if the disease we’re trying to treat is the commercialization of Christmas in a wealthy materialistic society, we won’t accomplish that just by, say, praying more. We need to spend less. And for an extremely advanced disease of commercialization and consumerism, we need to spend less to an exaggerated degree. This, then, is how I propose to remember the origin of Advent and use it as a time to prepare for Christmas, not materially (like by putting lights up) but spiritually and, in fact, anti-materially as an antidote to our cultural illness of materialism: abstain from spending during Advent. Ready to join me in this challenge? Plan in advance what you will and will not spend money on during Advent. I’ve listed out below some of the categories where my wife and I will still be spending, and those areas where we won’t. Household goods. Plan for success: do you have enough toilet paper? soap? laundry detergent? etc. Stock up in advance if necessary. Alcohol and tobacco. Stock up! Or better yet, abstain during Advent. Groceries. Note: 3+ weeks with no grocery or food purchases would be a major challenge for most people. It can work in our family because we nearly always eat at home anyway and our freezer is full of meat. If you think you can manage it, try it! Plan in advance for success. If you frequently eat out or buy prepared food, maybe as a more moderate step you can cook all your meals at home this Advent and allow yourself to buy groceries during. Or you could go extreme and fast like the ancient monks; then you hardly need groceries at all. That’s what I’m planning on. I got through Lent on bread and water—six loaves of this Ezekiel Bread, which seems appropriate for Biblical fasting. Travel (unless it’s specifically for Christmas). Online purchases. Anything online. If you really MUST buy something during this Advent, then it’s important enough to go out to a store and buy it in person. Essential bills: mortgage, gas, electric, water, insurance, medical, debt payments, etc. Non-essential bills: Internet, cell phone, TV. These are in separate category from the above because some of you might need to cancel those bills for a month and abstain from the associated technology. Emergencies, such as car repairs or medical emergencies. But plan for success in avoiding pseudo-emergencies: you can get an oil change and top off your medications before Advent so you don’t need to spend money during. Christmas gifts for others, and related expenses: Christmas cards, tree, etc. Note: if you can get all your Christmas shopping done before Advent, GREAT! More power to you. For me, I’m starting too late this year for that to be plausible; besides, the main thing I’m trying to avoid is spending money on MYSELF. That said, I’d urge any willing to do so to try a really HEROIC version of this challenge: don’t buy Christmas presents. Give your loved ones homemade chore coupons, or homemade canned goods or other foods or crafts, or a nicely hand-written promise to spend some time with your sibling you never see. I’ll be making one more concrete commitment during Advent, in regards to the money I’ll be saving: I’ll give some of it away. In particular, I will give every single time I am asked for money. If I see a friend’s gofundme on Facebook, I will donate. I will donate to several of my favorite charities in response to their email, website, or social media solicitations. I will give to any homeless people I encounter. I will give to the collection basket in church (rather, I will give my kids a dollar each to put in), even though I already tithe online. If you’re not sure where to start giving—how about giving pro-life? That’s why I created this website: it’s hard to give to pro-life, the most important cause in our society today, because there are so many different pro-life nonprofits. That question should be secondary: let’s first make a serious commitment to give pro-life, and then we can decide which nonprofits to support. You can do all of that in one place here. Poke around my website, read the front page, catch the vision, and join us.